As a family-owned and operated business with over 20 years of experience in construction, we can handle just about everything. From construction of new additions to roof repairs and drywall hanging, call us to get a FREE estimate on your project. We are a home improvement company that specializes in roofing. We also do framing, additions, siding, windows, doors, decks, and remodeling. Our goal is to provide you with the best customer satisfaction possible. As a contractor we want to emphasize what you consider important. From the first meeting, to project completion, we strive to have the best customer relationship possible. 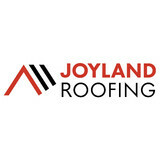 Above all, we want to by our lives and business, exemplify the Lord Jesus whom we serve..
Joyland Roofing is an award-winning roofing contractor serving Harrisburg, Philadelphia suburbs, and southeastern PA. We rely on integrity, honesty, open communication, and quality workmanship to exceed expectations on every project we complete. Our team of experienced roofers specialize in installing and repairing residential and commercial roofs. We also perform re-roofing, low slope roofs, roof inspections, seamless gutter installation, install and repair skylights, and offer 24/7 emergency roof repairs due to storm damage. We can work on and install most roofing materials, including cedar shake, asphalt shingle, rubber, EPDM, TPO, standing seam, and corrugated metal. We are a certified MasterElite GAF installer, placing us among the top 3% of roofers in the United States for quality, reliability, and trustworthiness. Founded in Lancaster, PA in 1991, we now work on projects in Lancaster, Chester, Montgomery, Berks, Dauphin, Lebanon, and York counties. To see photos of past roofing projects, or to schedule a free on-site consultation, visit our website. Specializing in slate roofing for historic residences. Gutter work and other types of roofing also performed. 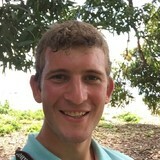 Feel free to contact us online through www.oldeworldslate.com; you'll find a simple form to fill out. Our crews are known for their hard work, dependability, and craftsmanship. 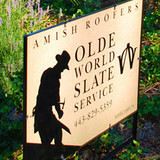 At Olde World Slate Service, you will receive personalized attention for your roofing needs. If you have been searching for a slate roofing company with reasonable prices and experienced, expert workers, you’ve come to the right place. Family owned Roofing company in Lancaster County Pennsylvania. Shirk Brothers is a small company, and we believe that it is one of our greatest strengths. We operate as a small team with a great level of owner involvement, which makes us most efficient and effective at meeting our customer’s needs. It is the reason why you will find one or more of our owners at each job. Our team of three brothers brings nearly 25 years of collective experience to your exterior home improvement projects. We specialize in roof replacements and exterior installations using high quality materials while still keeping an eye to affordability for our customers. We are only as good as the foundation we are built on. Middle Creek Roofing is built on the simple foundation of serving and from our Amish roots. We believe it all starts with offering you our best. Experienced craftsmen, most of whom are Amish, make up the Middle Creek Roofing Team. These craftsmen know, understand and trust each other, and together they work hard to accomplish each task, taking pride in a job well done. For the Amish, this dedication and teamwork is a way of life. Lifelong experience in all forms of construction allows them to quickly grasp the functional and aesthetic goals of the project, reproducing building details with accuracy and skill. We are committed to serving you, as we would like to be served and we will carry that through from first contact to a quality clean finished job which you can enjoy for many years to come. Caring for your home is as important to us as it is to you. Contact us today for all your roofing needs at (717) 589-4356 or click the "Contact Me" button to send us a message. We look forward to working with you! We think our roofing company is the best in the business and have hundreds of happy homeowners who agree. Family owned and operated for over 14 years. We use only the best materials and are dedicated to completing each project in a timely manner at an affordable price. We can handle all your roofing needs such as shingles, torch down, flat roof, cedar, metal, and copper. Along with roofing we also do siding, gutters, windows, doors and more. Give us a call for your FREE ESTIMATE on all your home improvement needs. Exterior remodeling. In business since 1994, locally owned and operated. JERANCO Roofing & Exteriors LLC is a roofing contractor / roofer serving the Blue Ridge Summit, PA area. Services include Roofing, Vinyl Siding, Commercial Roofing, Roof Installation, Roof Repair, Storm Damage, Siding Repair, Aluminum Siding, Shingle Roofs, Metal Roofs, Flat Roofs, Roof Coating, Roof Vents, Shutter Installation, Gutter Cleaning, Gutter Repair, Chimney Services, Gutters and Gutter Guards. Welcome to Mid-Atlantic Gutters & Exteriors Gutters, Windows, Siding and More in Maryland and Beyond Ask us About our TRIPLE LIFETIME WARRANTY – NO SAG, PULL AWAY, or CLOG! Mid Atlantic Gutters and Exteriors is a premier gutter and home exteriors service in Maryland that offers professional gutter services, window services, siding services, roofing services, and more in Baltimore, Montgomery and Howard Counties. Roofing and Siding in Maryland with Skill and Customer Satisfaction We are a professional gutters and exteriors company that is prepared to take on all gutter services, siding services, roofing services, window services, and more! We strive to provide prompt and quality services to ensure the satisfaction of each and every customer. No job is ever too big or small for Mid Atlantic Gutters and Exteriors! Proud to Offer only Professional and Quality Services and Materials We are 100% dedicated to providing our clients with professional and quality workmanship, gutter installations and exterior services in Montgomery County, MD and the surrounding areas. We train all of our workers in order to provide you with the roofing services, gutter installations,window installations, and siding service you envisioned. We understand how valuable your time is, that’s why we are always prepared to work around your schedule. The professionals at Mid Atlantic Gutters and Exteriors have the tools and knowledge to accurately perform all your home exterior services and gutter installations! Our business is our livelihood but it is also so much more. J & E Builders was started to fill in a void in the current market and to make a business that people can place their trust in. Over the years we have never lost our commitment to our clients and that is what has allowed us to succeed in a very competitive industry. The employees of J & E Builders stand committed to our purpose and will provide the best service! All Season Gutters is a local, family owned business offering the very best in custom seamless gutter systems for your home. We pride ourselves on quality work, reasonable prices, and excellent customer service. We specialize in roof replacements and roof repairs. Our construction expertise expands into the window replacement and siding replacement fields. Also, we can remodel bathrooms and kitchens and make your dreams come true. What do roofing companies in New Market, PA do? Your New Market, PA roofing contractor can install a new roof or repair an old one, as well as repair and replace gutters. Good roofers in New Market, PA should be able to promptly inspect roofs and gutters to assess damage after a natural disaster or other event, and give you an estimate for the necessary roof repair immediately. Some New Market roofing companies specialize in specific types of roofs, such as tile or metal, so make sure the one you are interested in works with the materials you have or desire. Find a New Market roofer on Houzz. Narrow your search in the Professionals section of the website to roofing companies in New Market, PA. If you’re planning a large-scale project, find other professionals on Houzz who can help get the job done. Here are some related professionals and vendors to complement the work of roofing & gutters: General Contractors, Specialty Contractors, Siding & Exteriors, Door Sales & Installation, Garage Door Sales & Installation.